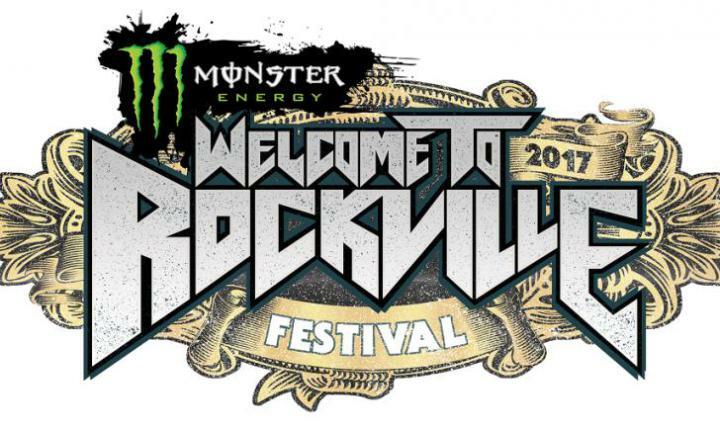 Let’s Get Rocked at Welcome To Rockville! It’s almost that time of year when rockers from all over town meet up at Metro Park to throw their hands up, let their hair down, and rock out with 40 of the best artists in rock and metal at this year’s Welcome To Rockville! The lineup is spectacular, there are fun musical and energetic experiences to enjoy, delicious food to eat, along with tasty whiskey and cold beer to cool us off. Get ready Jacksonville! This is going to be one hell of a rock festival! Over two days and three stages this superstar lineup including legends like Def Leppard and Soundgarden is going to keep Jacksonville rockin’ all weekend long. Personally, I could go through this entire lineup artist by artist because there are all awesome! But, I am most looking forward to seeing Def Leppard, Papa Roach (yes, I’ll be rockin’ my Lovers Are Lunatics gear! ), I Prevail, Frank Carter & The Rattlesnakes, Badflower, Volumes, and In Flames. Hopefully, the schedule works out so no one misses any of their favorite bands! But, the lineup is not the only amazing thing we are excited about experiencing at this rockin’ festival. There will be all kinds of entertainment to enjoy between sets! At the FYE Fan Experience, fans will be able to purchase music and maybe even say hello to some of the performing artists. For those of us who feel like rock stars and are inspired to make it to the Monster Stage one day, be sure to check out The Music Experience! A hands-on experience where guitars, basses, amps, drums, keyboards and electronic gear is set up for you to enjoy and possibly win! Who knows, maybe some of the artists performing will make an appearance. In between rockin’ out and hands on experiences please be sure to stay hydrated! Of course, there will be water and Bud Light to help cool you off but, there are a couple of other fun ways to keep hydrated! Monster Energy will be “fueling the festival experience” with flavor samples along with artist signings and meet and greets! After you’ve been flavorfully and musically energized, head over to the Jack Daniels experience for a little “Taste of Tennessee!” Jack Daniels is bringing their mobile museum where whiskey lovers will learn about Mr. Jack Daniel himself and get a glimpse of how the best whiskey in the world is made. So let the countdown to the rock festival of the year begin! Before you know it Metro Park will be taken over by Monster Energy as they invite us to rock out with a stellar lineup including Soundgarden , Def Leppard, A Perfect Circle, The Offspring, Chevelle, Seether, Papa Roach and many MANY more! You won’t want to miss it! See you rockers there! Be sure to check out http://welcometorockvillefestival.com/ for more information about the event, the bands, and the sponsors! *Photo credit: I do not own any rights to the photo featured. If you know who this photo belongs to please comment so that I may provide proper photo credit. Thank you! Next Post ‘Book of Mormon’ Brings the Laughs to Jacksonville!